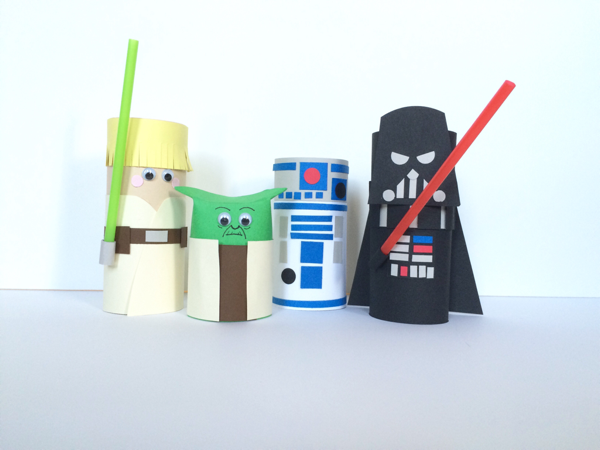 May the 4th be with you, that's what I had created these Star Wars character tubes to celebrate! It's an unofficial Star Wars holiday because of the phonemic pun on "may the force be with you". We celebrated Star Wars day during spirit week, it was the perfect timing, and I got to wear my Star Wars t-shirt to work! Whoop! These are so much fun and rather easy to put together. I made some of the timeless characters from the original trilogy, even some of the teachers wanted one for themselves. See more about these here at hellowonderful.co.